If you are in need of an air conditioner being installed into your Brisbane home or business premises then here you can find all the answers to any questions you may have about what you need! 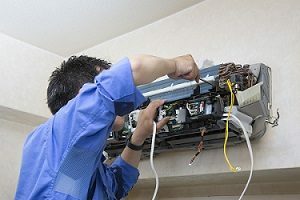 Read on to discover everything you need to know about installing an air conditioning system in Brisbane Northside or Brisbane Southside and surrounding areas. Our experts are qualified and experienced in the fitting of these units into residential and industrial properties and work to the highest standards to achieve safe and satisfactory results with every installation. Our experts are up-to-date with the latest technology involved with every installation to give you peace of mind that it will be a job well done, guaranteed. Once the system is installed our support team is always available for regular maintenance to keep it running smoothly or should a future problem arise we can soon be on site to get your system operating once again. Using an unauthorized installer could result in substandard work or even pose a fire risk or even electrocution through faulty wiring. It is advisable that you only use highly trained and certified installers that are specialists in the installation of air conditioning units. In addition to installing your new system we can also offer you some of the most competitive prices for maintenance work, cleaning and anything else you may need in relation to the upkeep of your existing system, you can just give us a call for a free quotation. The package we offer for our air conditioning cleaning service includes cleaning of the air filters, the covers and front panels. We will check the purifying and deodorizing filters as well as check and clean the evaporator coil, condenser coil and drainage trays. We can also provide you with some useful tips on how you can regularly check your filters and keep your system running smoothly and efficiently. Air conditioning can be referred to as AC, A/C or even aircon and is the process of removing the moisture and heat from within a living or working space to improve the comfort level of those inside that space. In addition to improving the living conditions of humans it can also be used for animals, computer servers or even to store and display items such as works of art. A fan is used to distribute the air once it has been conditioned to improve the air quality. Units can be sized to cool a small room to enormous units that cool an entire building. Cooling is usually completed through refrigeration although other methods can be employed such as evaporation, free cooling, desiccants (chemicals used to remove the moisture from the air) as well as subterranean pipes. A/C generally refers to systems that cool the air through humidification, cleaning, ventilation and air movement. A complete system of heating, ventilation and air conditioning is more commonly known as HVAC. Snow and ice have been used since prehistoric times for cooling although harvesting ice during the winter for use during the summer did not become a popular concept until the late 17th century when mechanical ice making machines were first being developed. In ancient Egypt, Rome and Persia methods were used to cool houses mostly through water cooling the air. In the 2nd century in China a rotary fan was invented powered by prisoners walking in a wheel. Later versions included fine jets of water used to cool the imperial palace. During the 18th century mechanical methods of cooling were introduced as experiments were conducted using alcohol and ether to freeze objects through evaporation. The first real breakthrough in this field in Australia occurred in 1851 by James Harrison. He then developed a commercial ice making machine that went into production in 1853 using a compressor. Electrical air conditioning units were first developed in 1902 by Willis Carrier in Buffalo, New York. Modern A/C units are not designed to draw air from the outside, they re-circulate the air that has been cooled inside this produces a level of moisture that must be removed from a catch tray at the base of the unit. This is allowed to run off through a drip hole. By running the compressor in the opposite direction the effect can be reversed and the air con unit can then be used as a heater instead of cooling the air. Another method is to have a heat pump fitted during the installation as this is a more efficient method of use. In regions where the climate is very dry evaporative coolers are the most efficient cooling systems during very hot weather. They are also known as swamp coolers or desert coolers. The method these coolers use is to draw air from the outside through a wet pad such as a sponge which has been soaked with water. Evaporative coolers may feel as they are not working when the outside air is of high humidity and there is not much dry air available for the coolers to cool that air to a comfortable setting inside. Evaporative coolers rely on the outside air being directed through cooler pads to cool the air replacing the warmer air inside through an open door or window. These coolers are cheaper to buy and very simple to maintain and install. Window unit A/C’s are installed in an open window. The interior air is cooled by a fan blowing it over the evaporator. A second fan blows outside air over the condenser. A house or building may require several units to function efficiently although an advantage is individual rooms can be cooled as and when required. 2. There are several types of split systems where the internal heat exchange unit is located some distance from the external one. They can be used to condition the air of a single room or a few rooms within a building from one external unit. They can be used for both cooling and heating purposes. These types of air conditioning systems are the ones we see mostly installed at the moment, as they are not too intrusive in the interior and they are the most efficient systems available. 3. Central or ducted air conditioners offer multi-zone temperature control and can be used as forced air for heat in the winter or chilled air throughout the building during the hot months of summer. we see these units installed more and more as better systems come into the market.